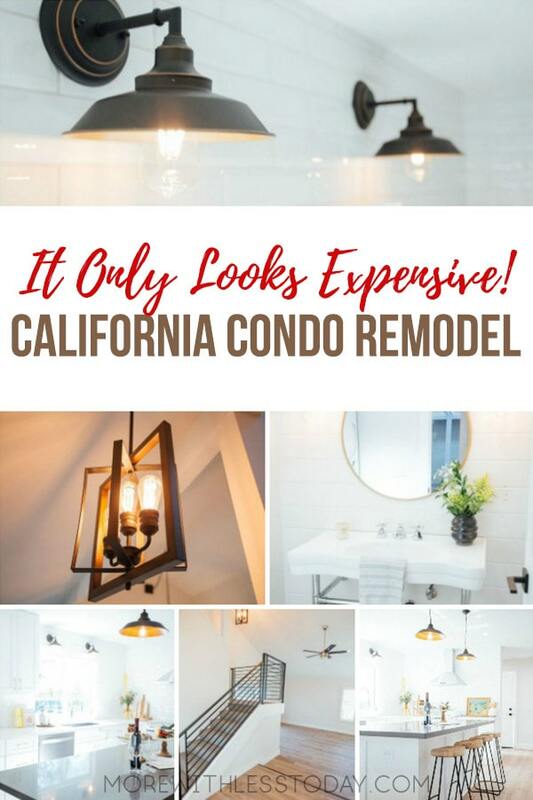 On Trend Lighting Fixtures for a California Condo Remodel - the Sources Will Surprise You! 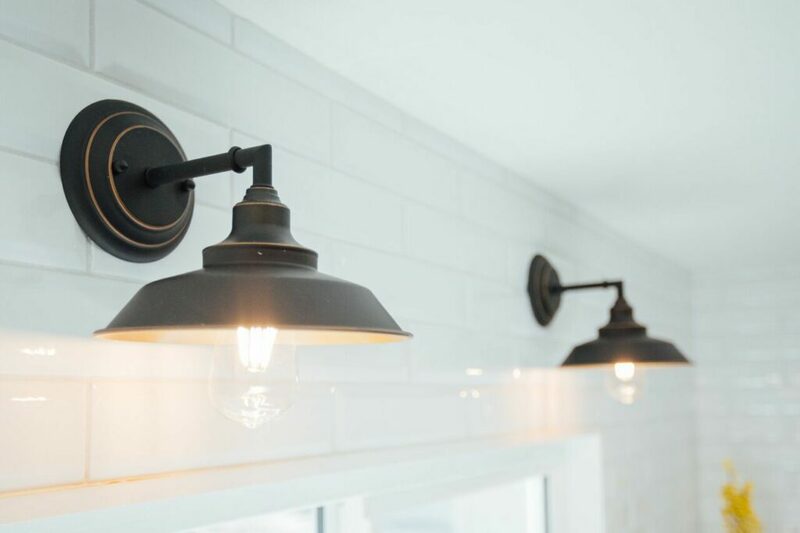 On Trend Lighting Fixtures for a California Condo Remodel – the Sources Will Surprise You! 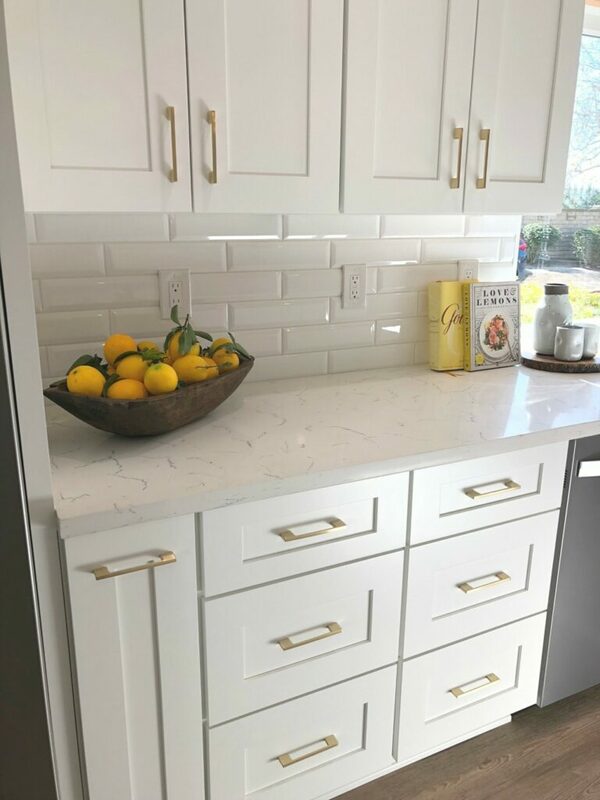 I went behind the scenes with the talented interior designer, Mindy Laven to see a chic California condo remodel project she just completed. This condo is a rental property and was practically destroyed by the previous tenants. Mindy was charged with getting it rental ready again. The condo needed all new flooring, tile, and appliances which used up the majority of the budget. However, with Mindy’s eye for good design, I think you will agree that the “new” condo looks stunning. Mindy is a master of recreating a high-end look on a realistic budget. She has helped me decorate and renovate three homes. She knows I’m a frugalista and since my readers are like-minded, I will be sharing more of her expert tips, soon so stay tuned! 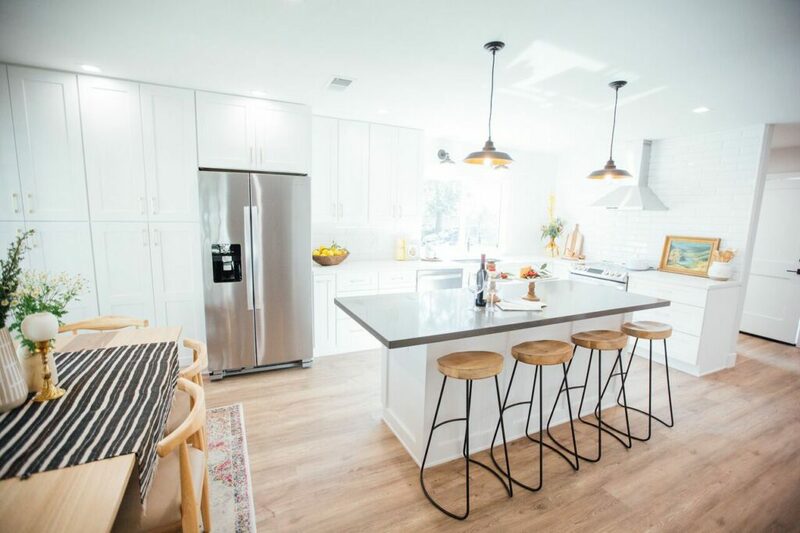 By layering in vintage and handmade accessories, this brand new kitchen looks curated and collected. We have affiliate relationships which means that we may earn a small referral commission at no additional cost to you if you shop through our links. The drawer pulls used are an Amazon.com find from a company called Southern Hills. We have linked to the page featuring this Satin Gold finish so you can see the various sizes they offer. You can also get them in Black, Polished Chrome, Brushed Brass, Satin Nickel, Oil Rubbed Bronze and Brushed Nickel. These handles and drawer pulls are a great find! 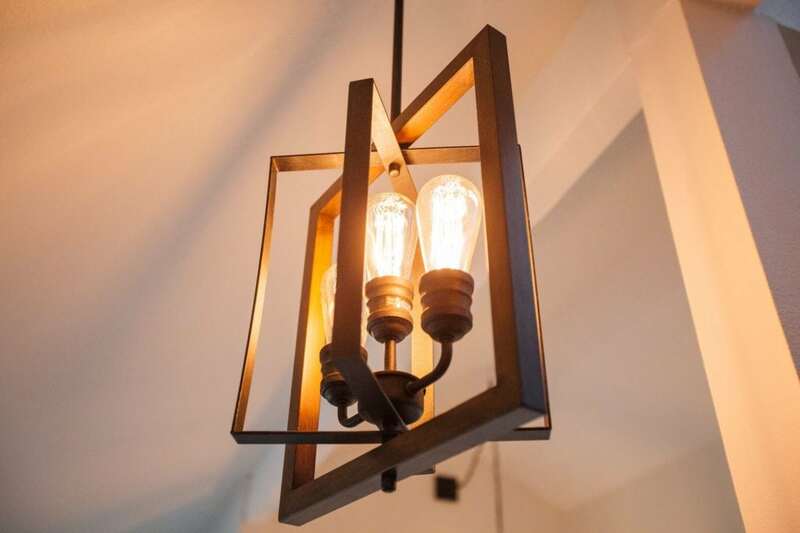 We are also highlighting affordable and stylish lighting fixtures. The sources (and the prices) will surprise you! 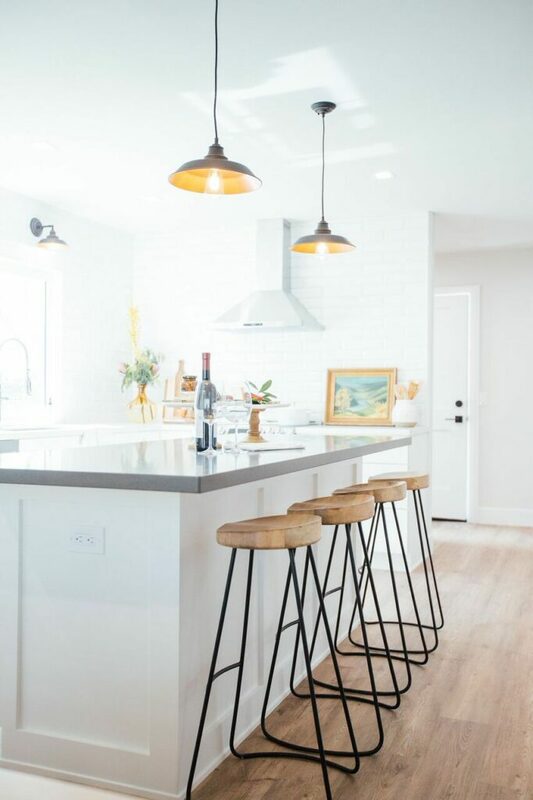 The kitchen pendant lights are also found on Amazon.com and are surprisingly very affordable given their good looks! Are you surprised at the price? They have an oil rubbed bronze finish and the inside part of the lights are brass-lined too which really makes them stand-out. Here are the individual light fixtures that were installed over the sink. Using dual lights over the sink is a great alternative to the usual single fixture plus they help to frame out the window. And she repeated them in the guest bathroom. The hallway pendant light she selected is from Home Depot, Home Decorators Collection. 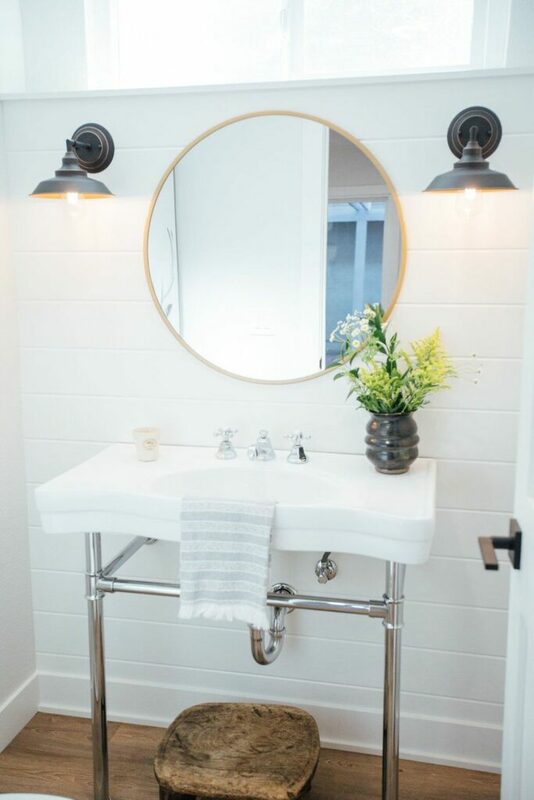 This vintage look is so fresh and clean. 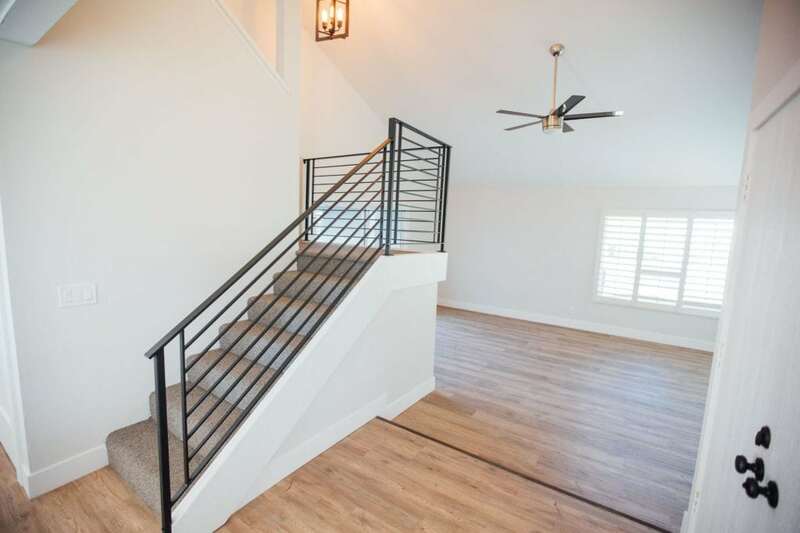 I think it looks great in a modern farmhouse as well as for someone who likes a streamlined modern aesthetic similar to West Elm. An important detail is to use “Edison-inspired” light bulbs, also found on Amazon.com. This ceiling fan with a light kit is also from Home Depot and goes so well with the other light fixtures she has chosen. 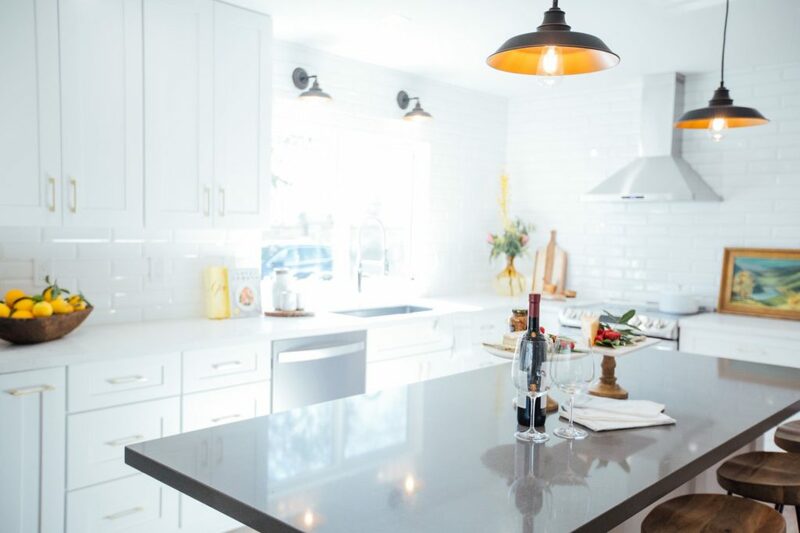 Be sure and see other fabulous home remodel projects from Mindy Laven on her website.